This puzzle is a collaboration by the actress Natasha Lyonne of Netflix's "Orange Is the New Black" and "Russian Doll," working together with Deb Amlen, who writes the Times's daily crossword column, Wordplay (nytimes.com/column/wordplay). You can read more about the making of today's puzzle there. This is Deb's fourth crossword for The Times. Natasha Lyonne: Working with Deb Amlen to create this puzzle has quite literally been a lifetime highlight for me. I thought I had peaked at being a clue in a New York Times crossword puzzle, so having this opportunity to become a constructor is a clear sign I have crossed over and am writing to you from the afterlife. I have become someone who thinks in clues, who jokes in puzzles and who lives for the answers. Most days of the week. Deb is a puzzler extraordinaire. Working alongside her has stimulated parts of my brains that I hope will remain aglow for years to come. She is definitely the person I would most recommend being blindfolded in a labyrinth with. Should it come up. She was the key that led me to safety and it was a privilege to get to construct under her tutelage. Much like a young, fumbling Richard Dreyfus in the oft forgotten film, "The Apprenticeship of Duddy Kravitz," I was able to bask in her golden glow and try to make a name for myself amid endless stabs at mastering puzzle making. There was so much to learn, but Deb was patient with my endless enthusiasm and heartbreak at the Herculean task. I was like one of those eager puppies you see get lost during a dog show who just keeps running around the obstacle course, having forgotten the rhyme or reason or lessons of their master. But the point is — they're show dogs! What has my dog done lately other than nap on my lap as I fill out more crosswords? She's done nothing, that's what. I have a true obsession with the crossword. I spend the bulk of my downtime doing them. They're my happy place. Where I can hear the click. The white noise sound I'm always looking for that feels closest to self-soothing. They're my personal spa day and I would live in a puzzle if I could. There were points where I thought to myself "Is the crossword a case of 'Never meet your idols'?" But once we nailed the Fosse-esque ALL THAT JAZZ theme, things really began cooking. Our shared love of the film kept us going. Seeing BOB FOSSE marry Dr. Dre with 26-Down's "Nothing but a G THANG" really hits me in all my happy reference places. The film "All That Jazz" occupies about as much space in my psyche and in "Russian Doll" as the crossword puzzle itself, so it felt very satisfying to see all the worlds I love so much collide. I plan to buy an awkward amount of copies of this issue to drape myself in on any dark days to come. I welcome you to do the same and hope very much you enjoy the puzzle! Thank you, New York Times, and by proxy, to my personal and wildly intimidating hero, Will Shortz, for allowing this highest of lifetime achievements to benefit two charities incredibly near to my heart, the Lower Eastside Girls Club and the Women's Prison Association. Deb Amlen: Natasha is a joy to work with, and her creativity, energy and passion for crossword puzzles were incredibly inspiring. She even bought the Crossfire software program, so she could learn how to construct and put in her share of the work. The really strange thing about this collaboration was that, even though we had never met before or discussed it, we both had exactly the same initial idea for a theme. I think that freaked us both out a bit, but it also gave us common ground on which to work. We both love the film "All That Jazz" — a semi-autobiographical take on choreographer BOB FOSSE's life — which happens to celebrate its 40th anniversary this year. The interesting thing (to me, at least) is that we liked it for different reasons. Natasha is an amazingly well-read philosopher who adored the movie's take on the main character moving between life and death. I liked it because I am the sister of a former dancer and have always loved the visual impact of Bob Fosse's choreography. Natasha and I worked focused on filling the grid with as little junk as possible. The only part that was tough to polish, even after ripping that section apart multiple times, was the eastern part of the grid where Phil MAHRE resides. Sorry, Phil, but if I could have put something else in your slot, I would have. Even so, I think we're both happy that we could debut some nice theme entries. And I'm thrilled that Will and the editorial team kept many of our clues. I'm particularly proud of "Ghost at the altar?" and "It might have golden locks." I had forgotten how much fun it is to write a really twisted clue. So thanks, Will, for hauling me out of retirement for this wonderful experience. I hope everyone enjoys our puzzle. To keep our mojo working, Natasha and I have decided to donate part of our fee to two charities, the Lower Eastside Girls Club and the Women's Prison Association. Also, don't miss Natasha's extraordinary turn as the co-creator, star, writer and director of Netflix's "Russian Doll." You will love it. The NYT celeb series continues! I watched the first season of OitNB, and Nicky was my favorite character. It's a shame that this crossword didn't relate to her, but considering Nicky's … ahem … colorful personality, it wouldn't have been appropriate for the NYT. 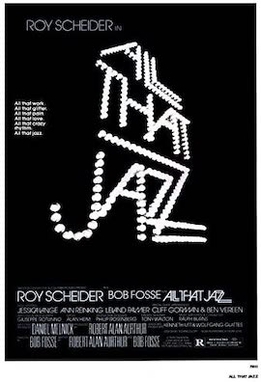 ALL / THAT / JAZZ referring to the movie about BOB / FOSSE, the choreographer. These types of "first words hide a saying" themes live and die on 1.) how snazzy their theme phrases are, and 2.) the impact of the a-ha moment when the solver connects the words together. ALL FLASH NO CASH is a great way to hide ALL. THAT CANT BE RIGHT is a solid colloquial phrase, too. I did hitch at JAZZ UP THE PLACE, as I wanted it so badly to be JAZZ UP THE JOINT. Even more appropriate given the setting for OitNB! I didn't get a fantastic a-ha upon realizing ALL THAT JAZZ was the theme, mostly because I didn't immediately recall who BOB / FOSSE was. It works fine, but I might have preferred a revealer that meant "and related things," like ODDS AND ENDS or ET CETERA or best yet, YADA YADA YADA. With such little constraints – ALL / THAT / JAZZ and BOB / FOSSE the only fixed requirements – Deb and Natasha had a lot of flexibility in their grid. I loved what they did with YOGA POSE, TZATZIKI, even BROCCOLI and COP OUTS. That's a lot of bonuses to PROFFER! I wasn't sure about ZUCK, but perhaps that's what the kids are calling him these days? Generally good gridwork otherwise, just some minor dings in CTR ICH MEIN MTA. And yeah, MAHRE. With this celeb series, I love when the crossword riffs on something specific to the celeb. But overall, a solid crossword with some great phrases worked in. How Natasha Lyonne Created a Times Crossword Puzzle — nice NYT article about her experience. Average word length: 5.00, Scrabble score: 342, Scrabble average: 1.85.